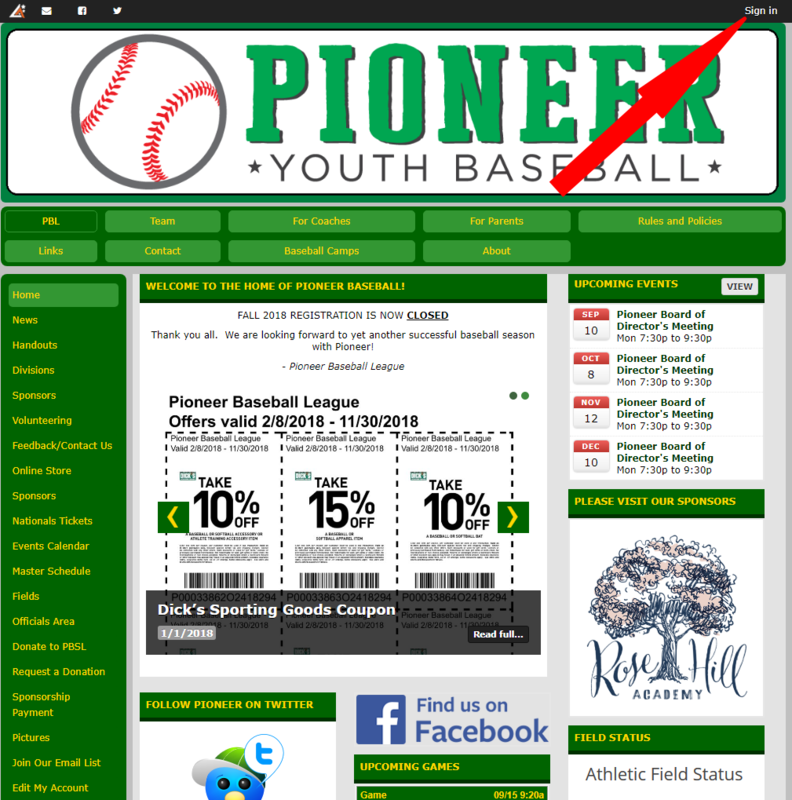 Step 1: Click the "Sign in" link in the upper right hand corner of pbsl.org. 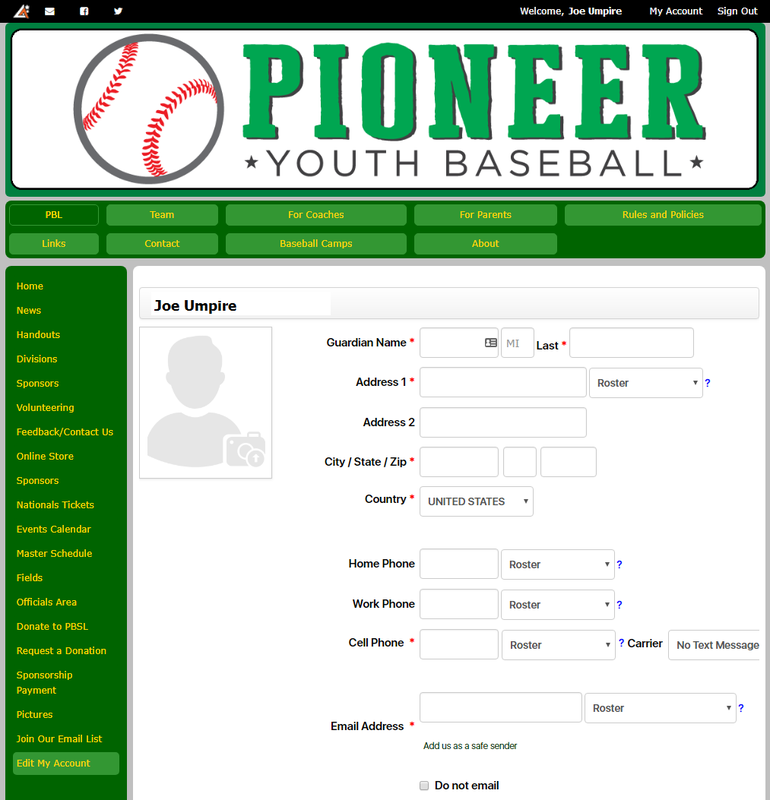 Step 3: Click your name to view your profile. Step 4: Update your profile information. It's a good practice to reset the password if one was provided to you. If you used the "Forgot Password" function there is no need to. 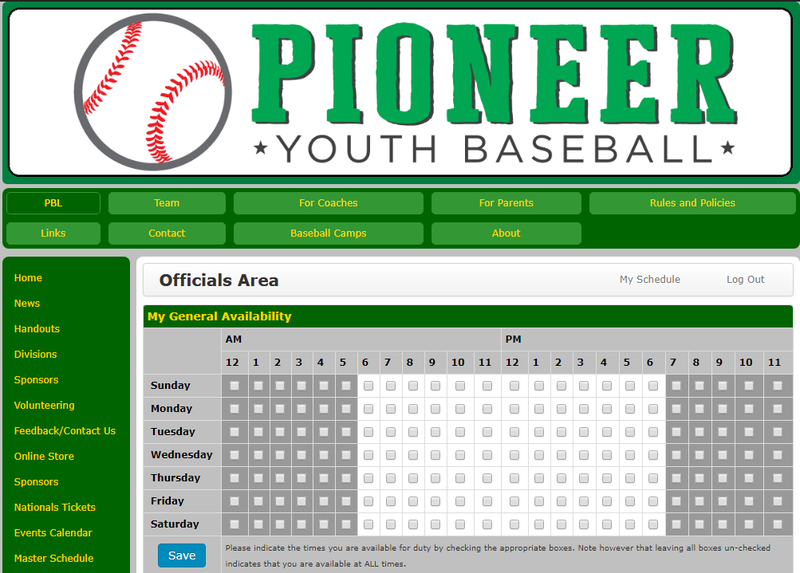 Step 5: View your availability on the "Officials Area" page. 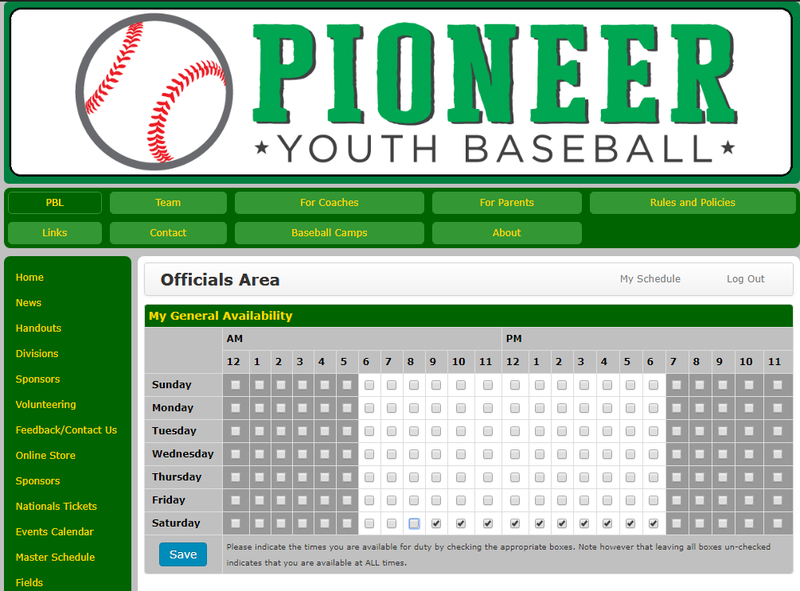 Step 6: Check the boxes that represent your availability. 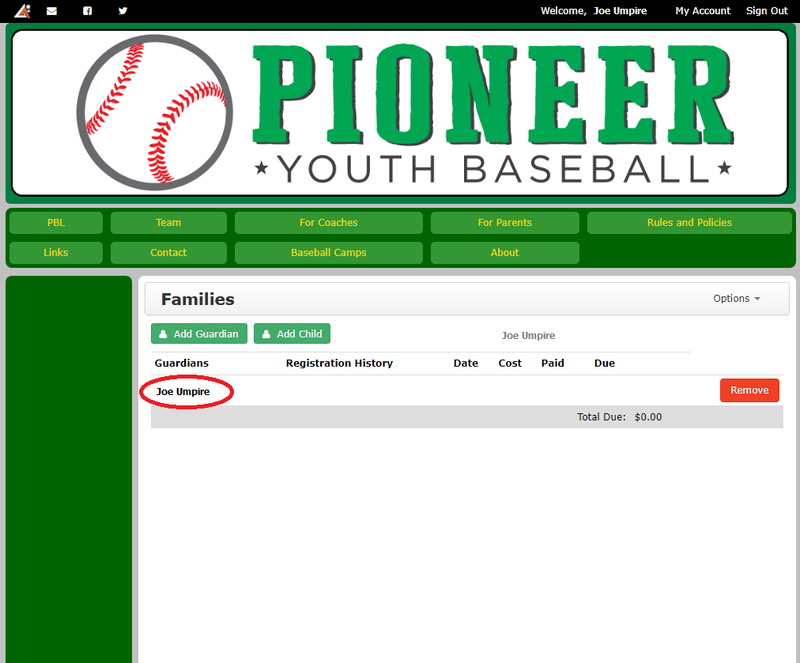 In the example below the umpire has selected Saturdays from 9:00AM - 6:00PM. 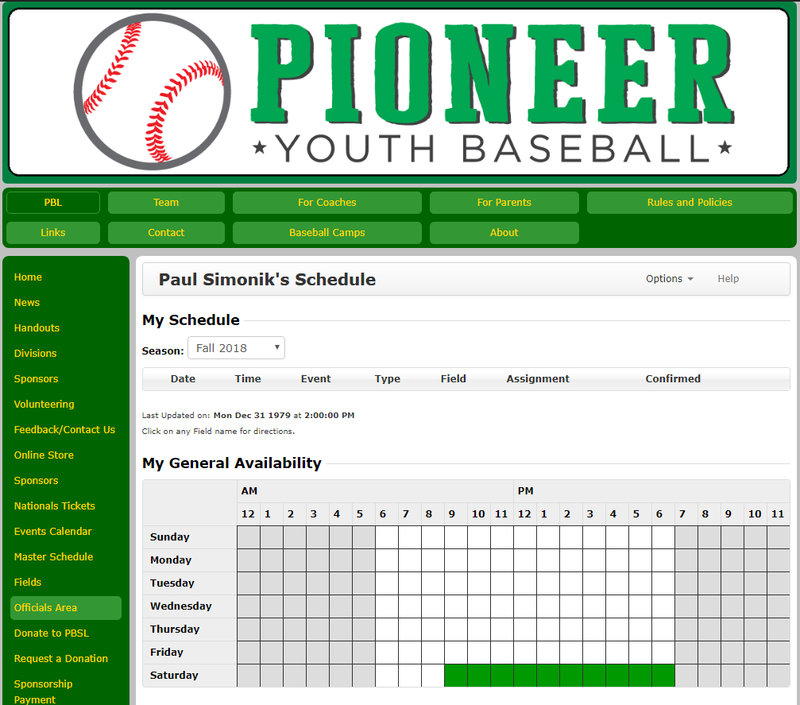 Step 7: Click "My Schedule" to view your current assignments and your availability. 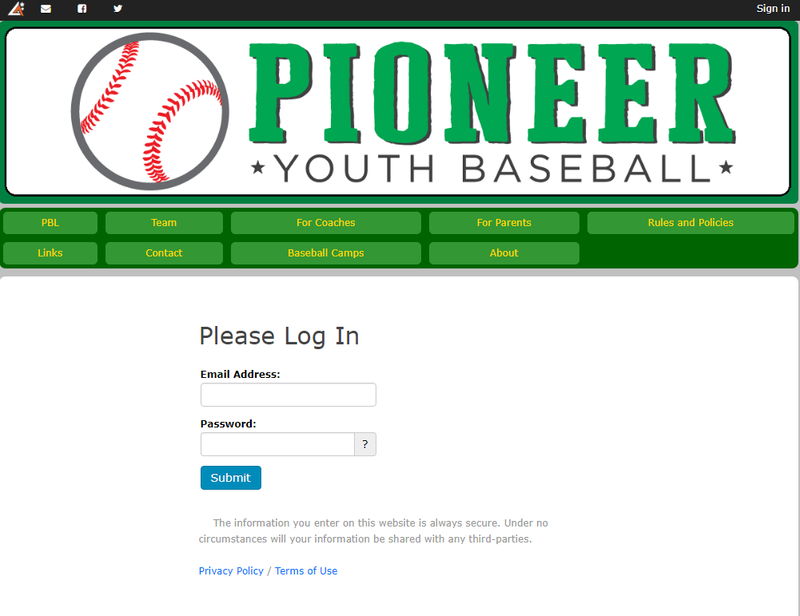 If you have any questions, please send an email to .